Eugene Moutoux, educator and author, taught at four universities and three high schools prior to his retirement in 2004. 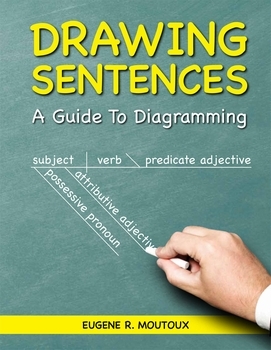 He has written books on sentence diagramming, Latin derivatives and the German language and maintains a large website that includes, among other things, a German course, Latin derivatives, and sentence diagrams. Around the turn of the century, Gene�s penchant for grammar led him to a thorough study of sentence diagramming, the rudiments of which he, like Kitty Burns Florey, author of Sister Bernadette�s Barking Dog, learned as a child from an elementary-school teacher. Gene lives in Goshen, Kentucky, just northeast of Louisville. He is the father of three children and the grandfather of seven. He has a Ph.D. in German from the University of California at Santa Barbara.